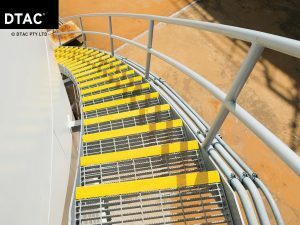 DTAC’s new Rugged™ Stair Edging range has high slip resistance and excellent durability. Suitable for fixing to open grate metal stairs and can be glue or screw fixed on concrete, timber and other substrates. 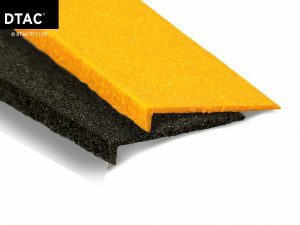 Manufactured from fibre glass reinforced polymer and achieving P5 Grip DTAC’s Rugged Stair Edging is available in yellow and black, featuring 1500mm and 1800mm lengths.